"Rikers Island has to be closed and it has to be closed now." Cash bail has morphed in recent decades into a practice that criminalizes poverty and violates the legal principle of “innocent until proven guilty.” You can join us in taking action on this issue here. New York Governor Andrew Cuomo said he will push to end cash bail in the state of New York this year at the 2018 Global Citizen Festival on Saturday. Cuomo disparaged the ongoing racial and economic disparities in the country’s criminal justice system. In particular, he said that he would shut down Rikers Island, New York City's notorious prison often criticized for its treatment of incarcerated people. The governor said there need to be more alternatives to incarceration, “strict timeles for court dates," and that “we have to eliminate the racial bias that is pervasive in our criminal justice system." He was responding to 9,432 global citizens who called his office demanding an end to cash bail in New York. “As governor, I am proud to have closed more prisons than any governor than the history of the state, and I’m not done yet,” he said. Cash bail means that if you’re rich, you get to walk and if you’re poor, and you can’t make bail, you sit in jail. That isn't justice. 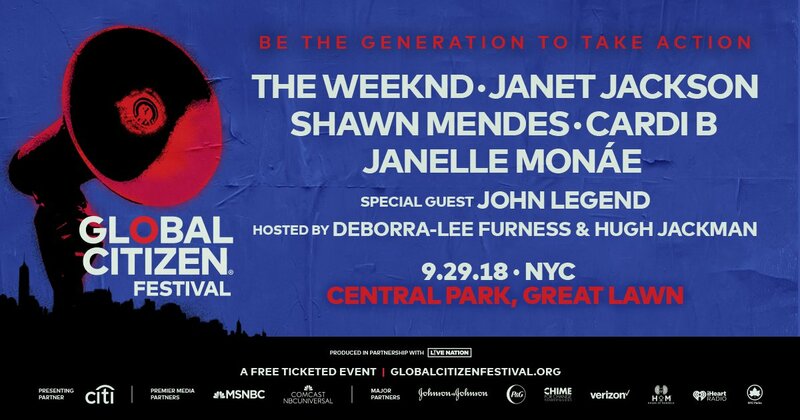 Cuomo was a part of a larger segment of the Global Citizen Festival focused on advocating for an end to cash bail, and singer, songwriter, and actor John Legend said that he and other people would hold the governor accountable.